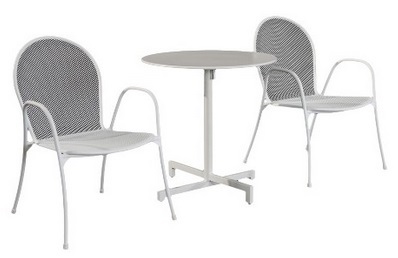 Home > TARGET > Target: Carmack 3pc Metal Mesh Patio Bistro Set Only $80.50 + Free Shipping! Target: Carmack 3pc Metal Mesh Patio Bistro Set Only $80.50 + Free Shipping! July 9, 2018 Comments Off on Target: Carmack 3pc Metal Mesh Patio Bistro Set Only $80.50 + Free Shipping! Target has the Carmack 3pc Metal Mesh Patio Bistro Set marked down to only $80.50 + Free shipping! Amazon Add-on Item: Fisher-Price Snap-Lock Beads Only $2.85! !